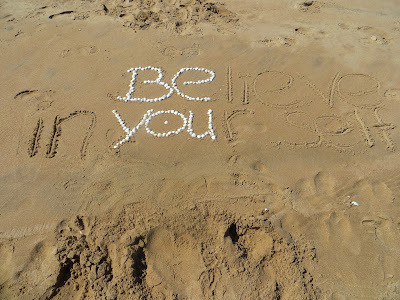 What does it mean to “Be Yourself”? Being yourself means, to be genuine in the things you do, the things you believe in and wants to be accepted for. Being yourself in a world where conformity is the norm, you don’t have to be like the majority you can be who you choose to be, it’s your choice. In order to be yourself you have to understand what being yourself truly means. - Don’t worry about what people think- Listen to the opinions of others but don’t let their opinions push you into directions that are opposite where you intended. - Don’t compare yourself with others- A person may look more successful than you but they may have more problems than you can even imagine. Comparing yourself with others is pointless unless you have all the necessary information to make such a comparison. -Having the courage to chase your dreams- Workout what your likes and dislikes are, what passions drive you and have the courage to go after them. -Respect – Not everyone is like you or thinks like you so while it fine to disagree with another person’s opinion, respecting their opinion goes a long way in fostering good relationships. - Give yourself permission to say NO- No is a perfectly good answer, took often we say yes just because that is what is expected. Don’t put yourself last just to make others feel comfortable. - Knowing your self-worth- Knowing your value is essential to being a whole human being, who doesn’t have to compromise who they are just to fit in. --Having strong convictions- The good comes with the bad so be prepared to have an open attitude and not hide behind a facade, so you can enjoy your life. You don’t get harmony when everyone sings the same note. Have the courage to be genuine in every situation, so you can be the best version of yourself.